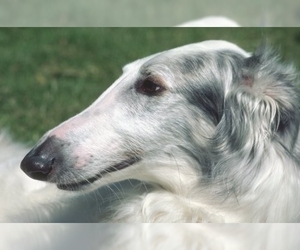 Overview: Borzois have a very gentle nature and are well adapted to living in a house ' or getting out and racing around the yard. 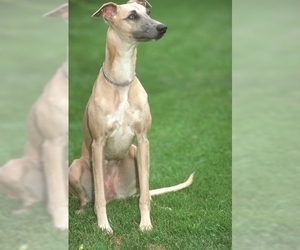 They're well-suited to all kinds of weather and make a very enjoyable pet. 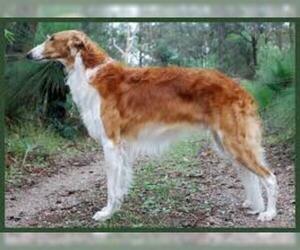 Coat: Long, silky, either flat, wavy or rather curly. 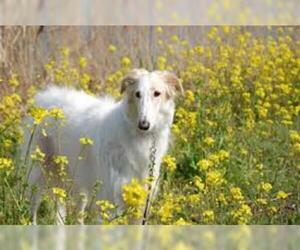 Character: Borzois are proud and loyal to their family, known for being independent and calm. 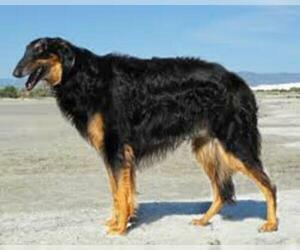 Temperament: This breed is not friendly toward strangers. They get along well with children, however, though they are not considered an ideal playmate. 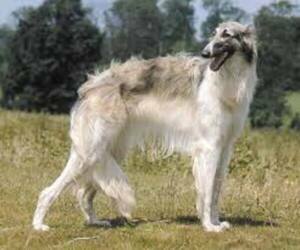 Care: The Borzoi requires regular grooming of the coat. Also, there may be excess hair between foot pads, requiring trimming on occasion. 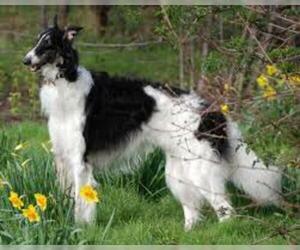 Training: This breed is not well known as being particularly obedient, thus training requires persistence and mutual respect. 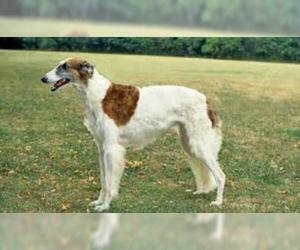 Activity: The Borzoi requires lots of space outside to run and play, though he can be well-behaved and calm indoors. Displaying 96-98 of 98 result(s).